Post subject: Help deciding what to do with my set up. Hey everyone its been awhile. I just picked up a 2004 mercury 90/65 2 stroke, to replace my 2007 mercury 60hp 4stroke prop. I have a cnc manual power lift jackplate with 5.5in adjustment and 5.5in setback. Well i put it on my boat(wich is a 1660 modV with pods side counsel, i think its a beavertail). 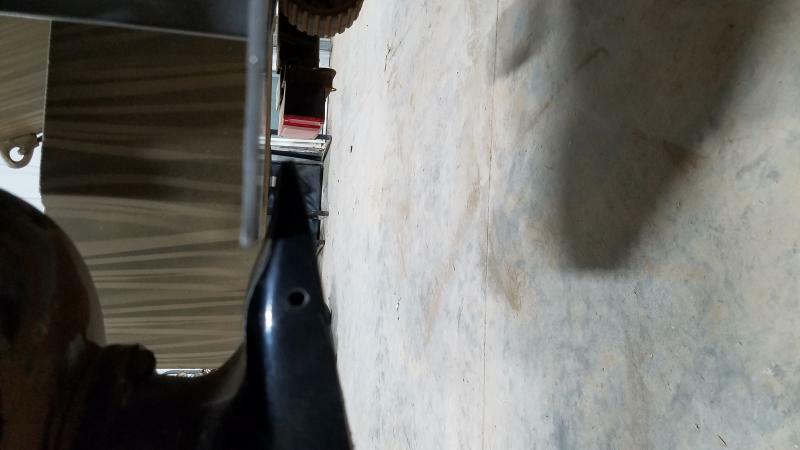 and when i have my motor level to where it should sit, the starting edge of my my foot is 16inches from my boat and still 2.5in too low.. ill post some pics of it my situation. 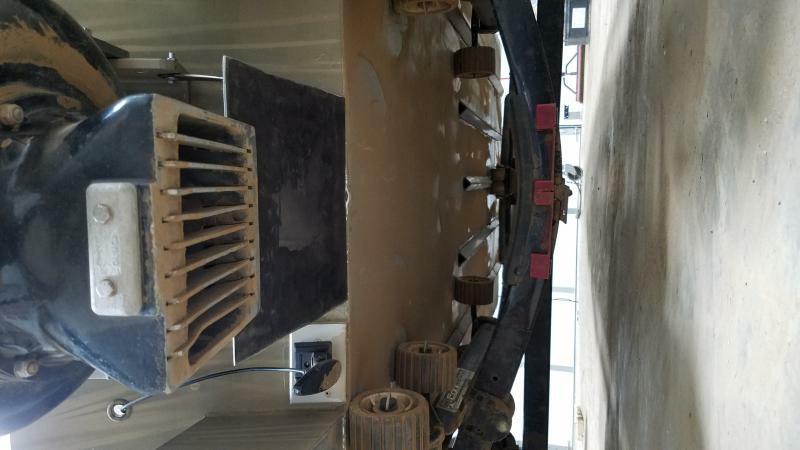 Im thinking about ordering a new jackplate, the powertran magnum with 7.5in lift and only 4in setback.. 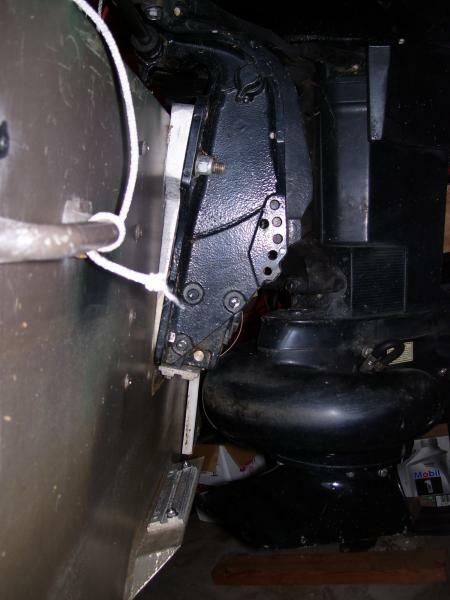 But this still will leave my foot along ways off my boat..
My 1 idea was possibly if i put in a transom block under the new jackplate that changed the degrees to more verticle my ne place would lift more verticle and keep it closer to the boat when raised up. (maybe my trim takes care of that but i still think it would help some), then id add a spray plate going back to the jet foot.. ill most likely grind off my drain plug and put my plate over it flush with my boat and plug my drain hole from the inside. My second idea is the same as the first but add an entire plate from pod to pod all the way back, and possibly build a tunnle into it..
Id really appreciate any ideas and feedback on how to get my motor closer to my boat.. File comment: Showing the gap i have with the motor setting level, how i assume it should be. go in light come out heavy. I also was debating on buying a trim tab too use as a splash plate /spray plate this way i can adjust it easily and deliver clean water all the way back to my foot. Anyone done this?? Then thats when i got the idea of making it a solid plate between the pods back to the foot, then the tunnle idea.. If it was me, I would go with very-well braced transom riser instead of a jack plate. You eliminate the setback issue, and only give up some of the range to adjust height. 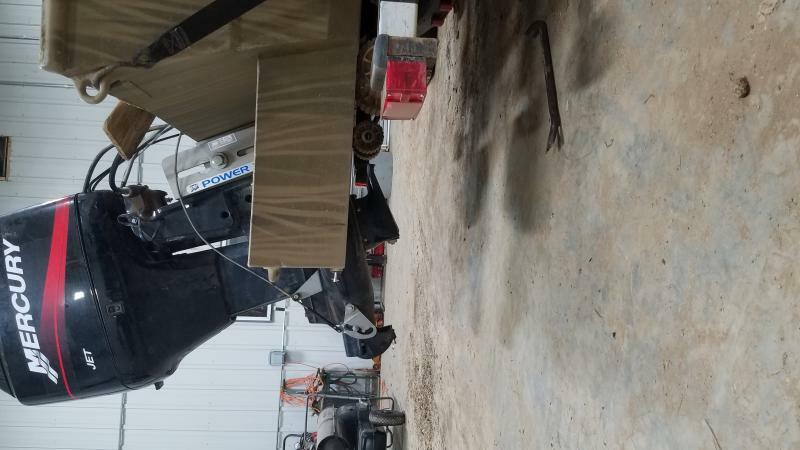 The cost in time and money won't be much different than your option of buying another jackplate and adding a plate to extend across the setback. Using a plate to extend the waterflow from bottom of the hull back to the foot isnt quite the same as the commonly seen splash plates, which instead sit a bit above the bottom to shield spray from the foot. Extending the bottom and changing the drain adds a little additional complexity to the part of the hull most likely to take hits. Is that a 25" shaft motor? Was your 60/40 a 20" shaft? I like the idea of the riser plate as well, it keeps the motor closer to the boat. It looks like you're tucked in pretty well so any farther might cause it to plow. Have you tried running the boat yet to see how bad it really is? My 1652 has a 15" short shaft jet and I still have it mounted at the 2nd to last hole (but mine is a jet tunnel). 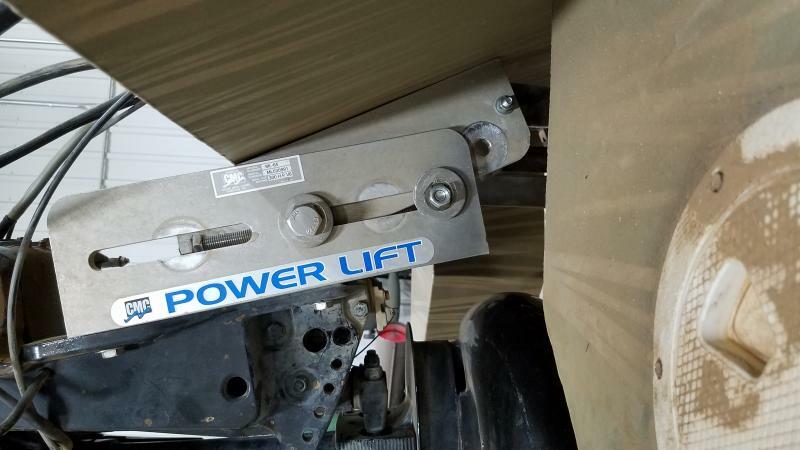 You can disassemble the jack plate and use only one side to make a super stiff transom riser that will allow you to bolt the motor up where it needs to be. My brother's old boat had a riser built the same way except it was welded. So take the jack plate apart so you have two very thick heavy duty pieces of aluminum angle. Each piece of angle will have 3 bolts. One in the bottom through the transom. The second one up in the bottom of the outboard mount and through the transom. The third through the top of the outboard mount (top bolt hole) to the fixed jack plate. It will move your motor up close to the transom, which is very important in my opinion. If you do plan on buying another jack plate then I'd suggest getting the one made by Outboard Jets. I really appreciate all the advice, this is what i have done for the moment. I did test run the boat as was previously. It drug bad. I raised it up a inch it cavitated. Since then this is what i have done. I now have my leading edge of the foot 1/4 in above the bottom. And changed my transom degree(from what° to what° i dunno but it looked better to my rookie eye. File comment: Kinda shows whats left of my drain plug hanging. I feel it could be a slight issue but have no idea???? File comment: How i changed my degrees.. its not permanent but how i been testing with differnt sized bolts in the bottom haha. How do i rotate photos sorry.. Anyone ever mount the jack plate mechanism to the inside of the transom? Would take some additional block/braces, but it would position motor closer to transom. Is this 1/4 inch between the spray plate and the foot an issue? Or will that be alright for delivering clean water to the foot?? I use Microsoft Paint to edit photos, it should be a free download. 1/4 inch should be good, when I trim my motor out a little, the spray starts to come back up over the transom. 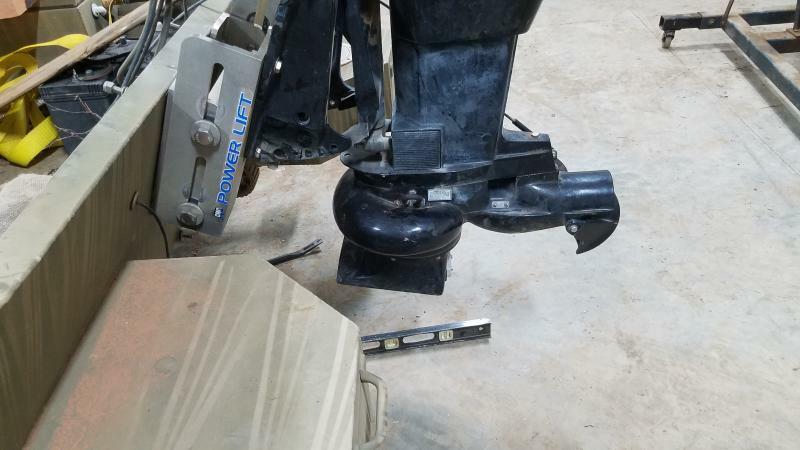 Is your jack plate now only connected with 1 bolt on each side? 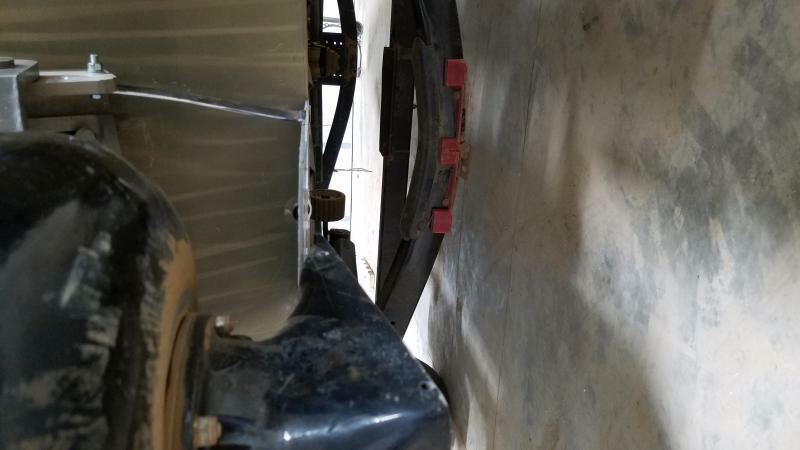 You may want to consider selling the jack plate and getting the risers plates that keep the motor closer to the boat. Yeah it only has 1 bolt on each side for testing. I had to raise it a total of 7.5inches so the 5.5 on my plate was not enough. But before i take out on its first run i was going to drill holes to put 2 more bolts in. I actually have a set of those risers laying around with a reverse set of 5degree transom wedges. But then ill still need to raise it 2 inches.. 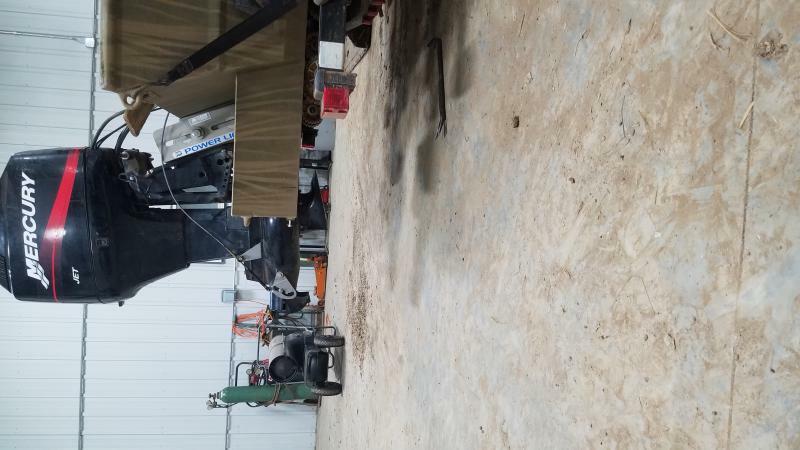 I think you really need a shorter shaft on the motor if you need 7.5" of lift. Either that or have the transom raised by having material added to it. Is this motor a longer shaft than your 60/40 was?